It's important for your child to know what can be good or bad when it comes to asthma. 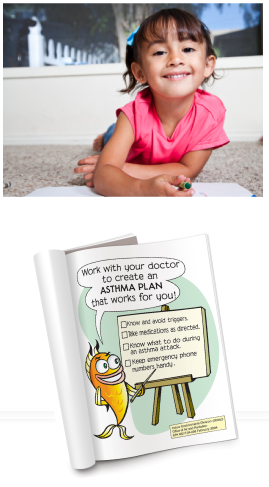 Click here to download a funbook with games that teach your child about asthma and triggers. Download the Funbook here. Download (Opens in a new window) "Why is Coco Orange" book to teach your kids about air quality and alerts. Check out these fun coloring pages featuring the world’s most famous (and only) asthma rock band, The Breathe Easies. Download the PDF for your kids here .